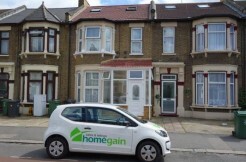 Home Gain are delighted to offer this very spacious 3 bedroom terraced house in a very sought after road close to Leyton station.Consisting of a very spacious through lounge, a good sized basement and a nice long garden. 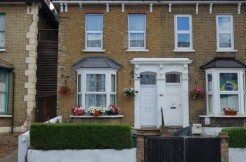 Please call now to view this fantastic family home or buy to let investment. 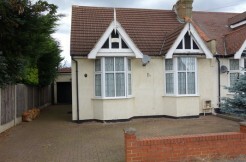 This property benefits from quite a tidy good sized basement and is yet to have a loft conversion. 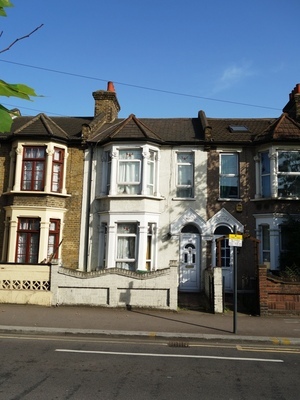 Within a 2 minute walk to all amenities including Leyton high street with ASDA nearby, also, Leyton tube station is within a 4 minute walk. There are two main shopping areas in the district, located at opposite ends of the High Road. A new retail park is to be found at Leyton Mills. This has a large Asda store, a B&Q store and a selection of furniture and electrical stores. At the north end of the town, Baker’s Arms has a more traditional selection of shops lining Lea Bridge Road and the High Road, including a branch of Tesco. There are numerous pubs and a few bars situated on the High Road. These include the King William IV pub, which is the home of Brodie’s Brewery, a maker of craft beers and ales, and the recently opened Leyton Technical pub. There are also several other drinking establishments on Lea Bridge Road. The newly built local police station is at Boreham Close near Leyton Midland Road station. It moved from Francis Road in December 2012. Restaurants reflect the diversity of Leyton’s population, with cuisines on offer including Turkish, Portuguese, Polish, Indian, Mauritian, Somali and Cypriot. There are also several fast-food takeaway shops, cafes and bakeries. Leyton lies on the eastern side of the Hackney Marshes, one of the largest areas of open land in London. However, access is inhibited by the Eurostar depot and the Eton Manor Olympic transport hub, which since the 2012 Games has been reconverted into grassland but is yet to reopen despite promises that it would be reinstated as East Marsh football pitches in autumn 2013. A bridge to the marshes crosses the Orient Way road and railway tracks from Leyton Jubilee Park, which was created as a merger of two previously separate playing fields to mark the 60th anniversary of the reign of Queen Elizabeth II.